For the first time ever, Hank’s Loft is now open to the public. 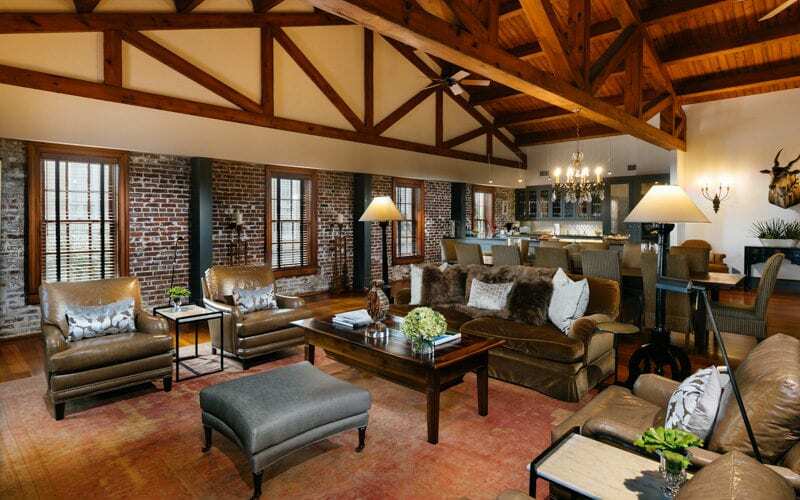 This stunning apartment features vaulted ceilings, exposed brick walls, a private billiard table, a chef inspired kitchen and the amenities of a full service upscale hotel. Welcome to Hank’s Loft, your Charleston address. For bookings, please use link below. To learn about events at Hank’s Loft, contact Hannah at events@hanksseafoodrestaurant.com. Our Hank’s Loft resident will enjoy valet parking for one spot during their stay at the protected underground garage located adjacent the building. Just because you have a kitchen doesn’t mean you have to use it. Enjoy free hot breakfast across the street. Enjoy daily maid service and 24/hr support of our professional staff providing consistency and comfort to completely enjoy your stay in Charleston. Your stay also includes access to a fitness center across the street. Work up a sweat, or just relax. Your choice.